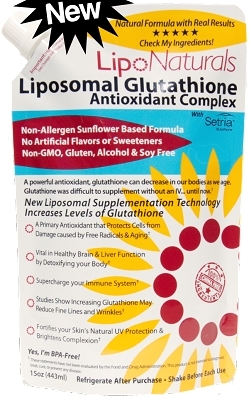 A new technology, Liposomal supplements are the most potent supplement that you can take orally. Lipo Naturals boosts supplement levels in your body far higher than previously thought possible without an IV. Regular supplement pills, liquids, and powders have an upper limit of bioavailability because of the amount that can pass through the digestive system. 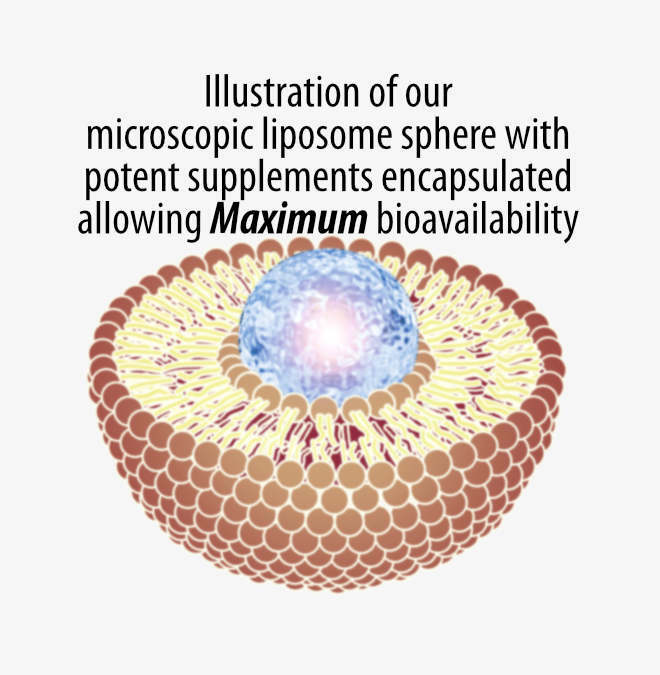 Lipo Naturals encapsulates pharmaceutical-grade dietary supplements in a tiny lipid bubble - called a 'liposome.' This liposome becomes a vehicle for its contents that are easily digested, by-passing the previous oral supplementation limits of regular vitamins. With supplements encapsulated in this way, they're easy on the stomach, easily absorbed, and far more potent than any other high dose supplements. 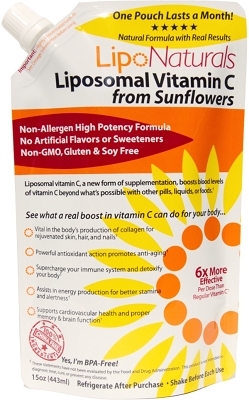 Our customers are finding the benefits of our liposomal vitamin C pretty amazing - and we now have liposomal glutathione! We're not the only one making liposomal supplements, but we're sure we're making the best available. That is our mission. We spent years developing an extremely potent and natural liposomal vitamin C, our first product, that has no artificial preservatives. Because of the high bioavailability of liposomal supplements, we don't believe in using chemicals, artificial flavorings/sweeteners, or alcohol like others do. We made our formula free of allergens. Our vitamin C is imported from Scotland. We use the highest quality glutathione from Japan. Our lipids are derived from sunflowers, not cheap soy, and imported from the Netherlands. These ingredients really are the best we can possibly use. They were also researched by Lipo Naturals for effectiveness, so we don't just use them because of their perceived quality - they do work better. Rated Best By More Every Day Seeing Real Benefits. Click for Our Reviews. Now Free Shipping On Orders Over $30 to the U.S. Some products sold as "liposomal" aren't all they claim to be. The above imaging on the right is from a real major product sold as "Liposomal Vitamin C." That's regular powdered vitamin C mixed with lecithin and sold at a high price. It doesn't have the effect of a true liposomal formula. Properly made liposomal supplements are fairly difficult to manufacture. A microscopic view of Lipo Naturals is on the left. Our liposomes are too small to photograph directly with visible light, but we can image them by using high frequency UV emissions. With Lipo Naturals, you're getting the real product, quality tested. 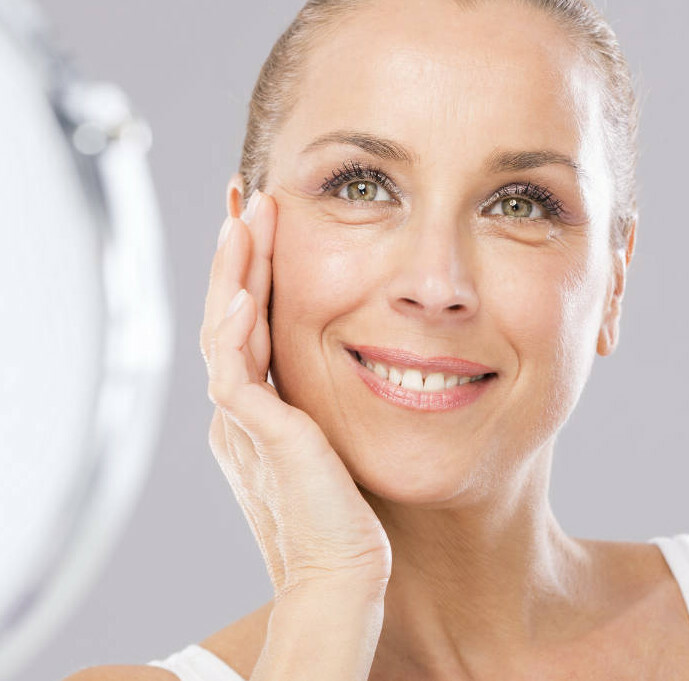 You will notice real anti-aging and other positive benefits with Lipo Naturals that you wouldn't find with other supplements.